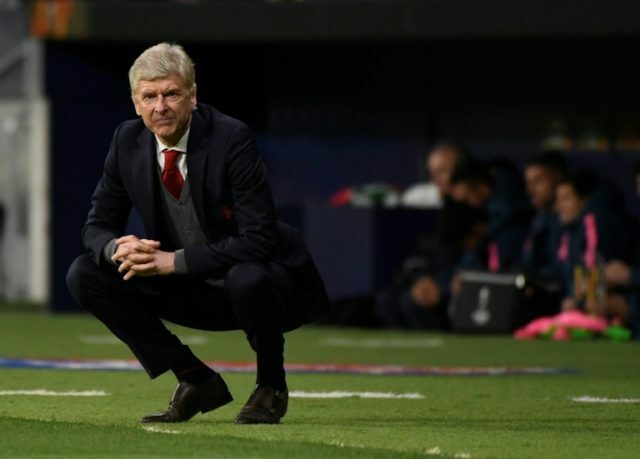 Madrid (AFP) – Arsene Wenger admitted Arsenal paid the price for their wasteful finishing as they were denied a place in the Europa League final by Atletico Madrid on Thursday. Diego Costa’s strike at the end of the first half proved decisive at the Wanda Metropolitano where a 1-0 victory secured Atletico a 2-1 win on aggregate. Defeat ends Wenger’s hopes of leaving Arsenal on a high as his team missed out on a shot at a major trophy and squandered their last chance to qualify for the Champions League. Atletico have not lost at home in La Liga this season but they were on the ropes in the first leg in London, down to 10 men from the 10th minute after Sime Vrsaljko was sent off. “I’m very sad tonight,” Wenger said. “Unfortunately you have to go through that – the game can be very cruel, sometimes very nice, but the suffering is very strong tonight. It remains to be seen how another season outside Europe’s premier tournament will affect Arsenal’s search both for a new coach, and new signings, this summer. Wenger also delivered an update on the fitness of Laurent Koscielny, who had to be carried off on a stretcher in the 12th minute after the defender went down, with nobody near him, clutching his left Achilles. Arsenal and France now face an anxious wait. Costa was the star of the show, providing the physicality and killer instinct Arsenal so desperately lacked. Atletico will now face Marseille in Lyon in a fortnight’s time as they seek their third Europa League triumph in eight years. “We are delighted to be in the final,” Simeone said. “We’ve wanted to be back in a final ever since the last one. “The side responded so well last week, they suffered, Jan Oblak had a great game there – but that’s what you need on these big occasions.